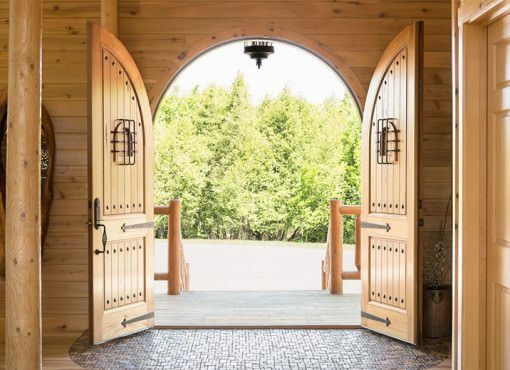 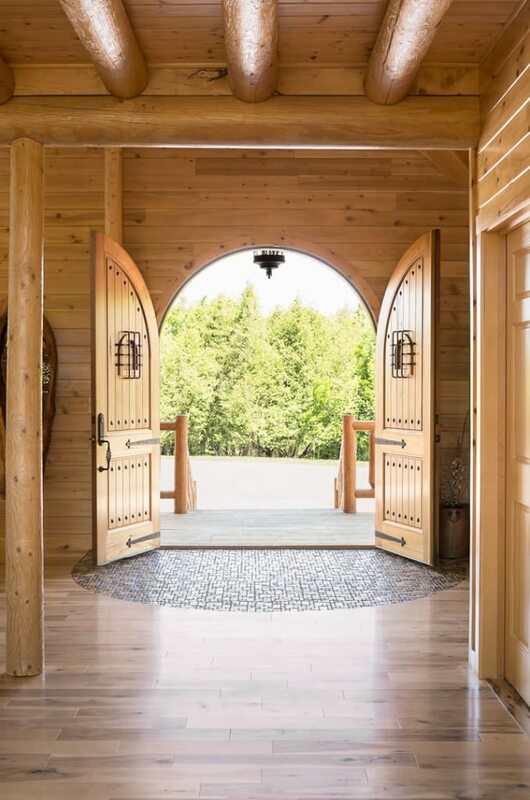 Right from the first view you can tell this home is special as a gorgeous portico draws attention to the castle-style front door. 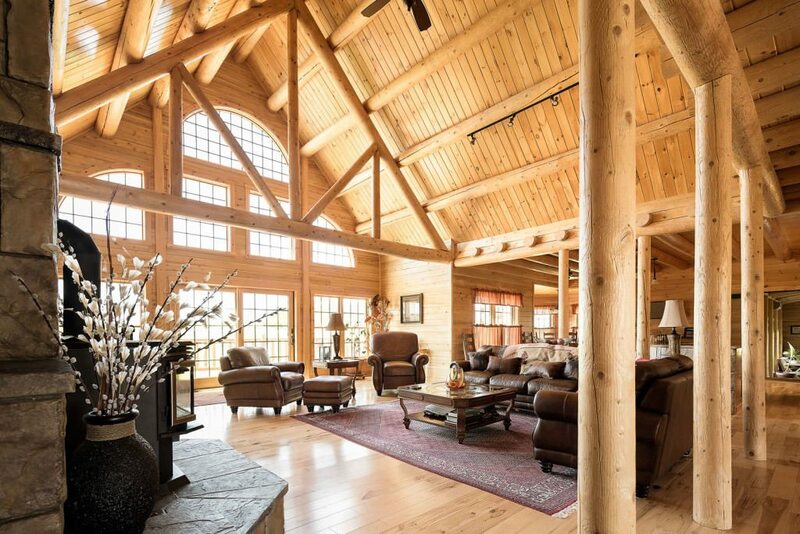 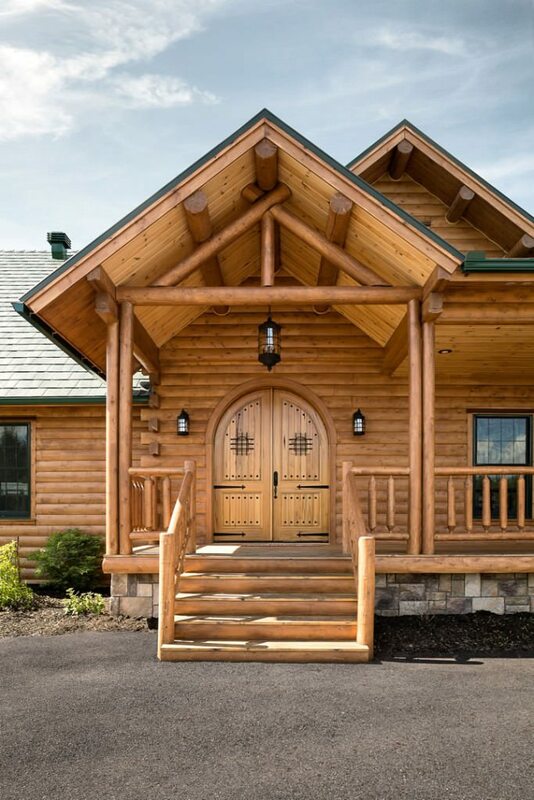 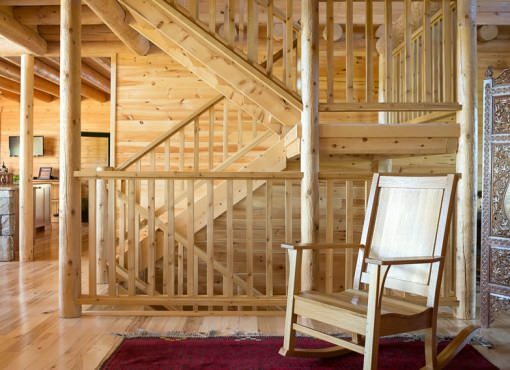 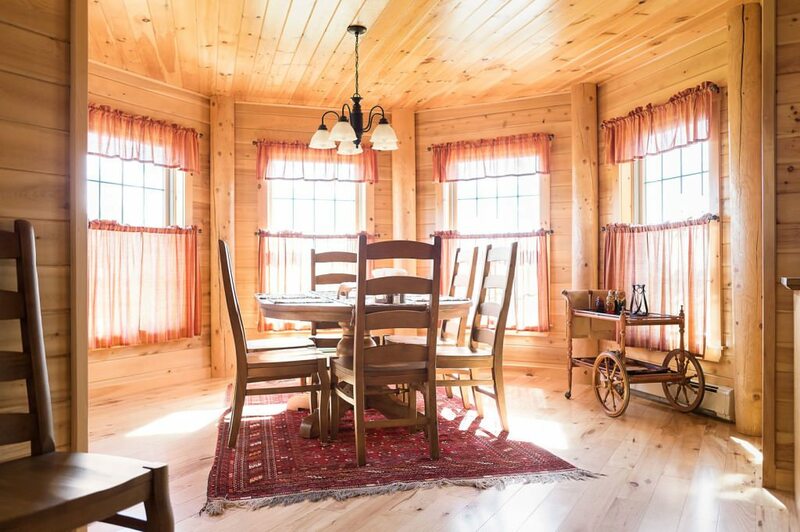 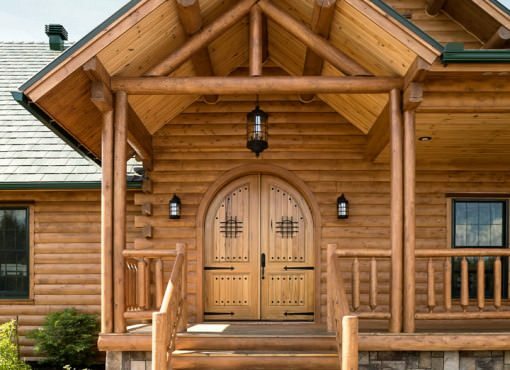 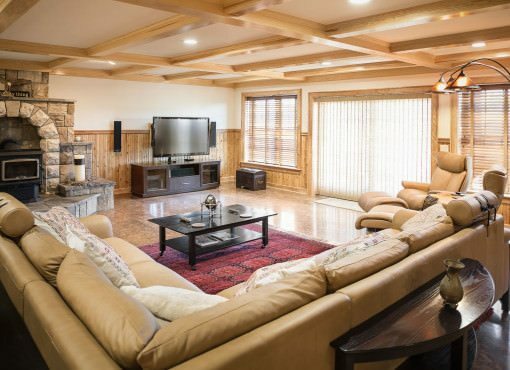 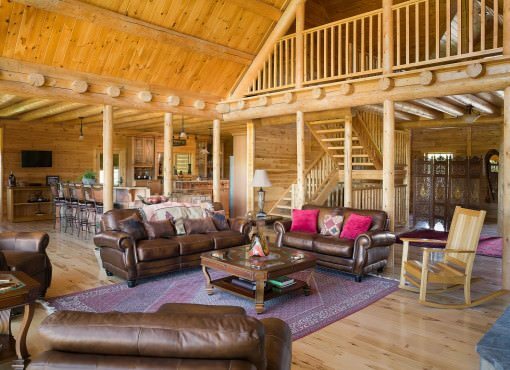 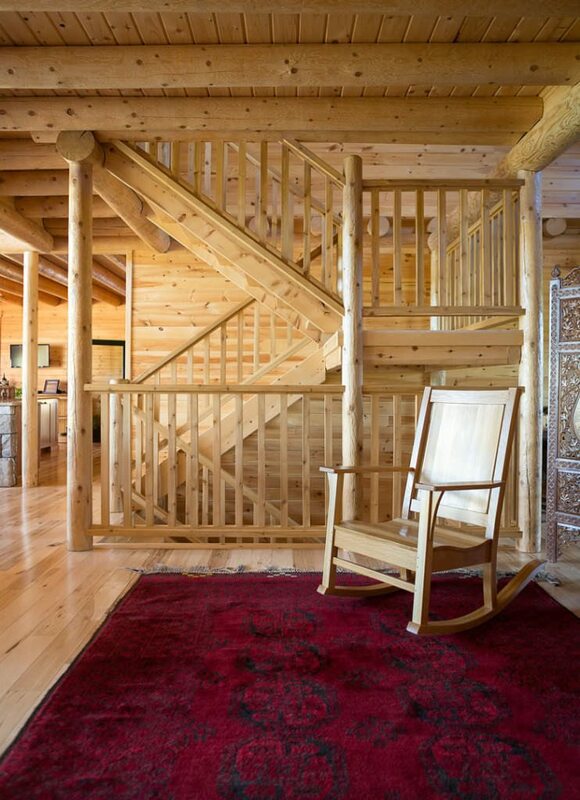 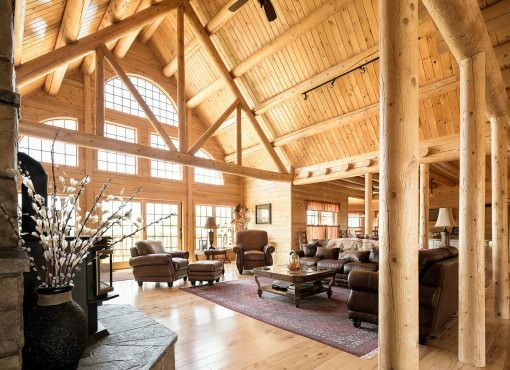 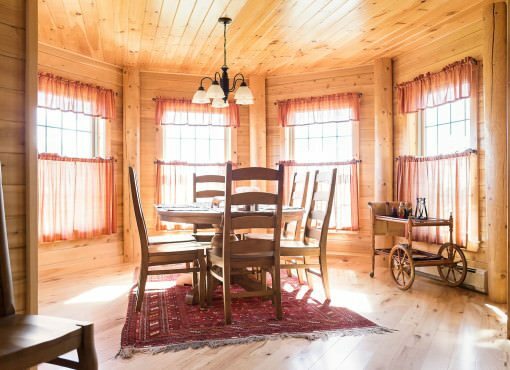 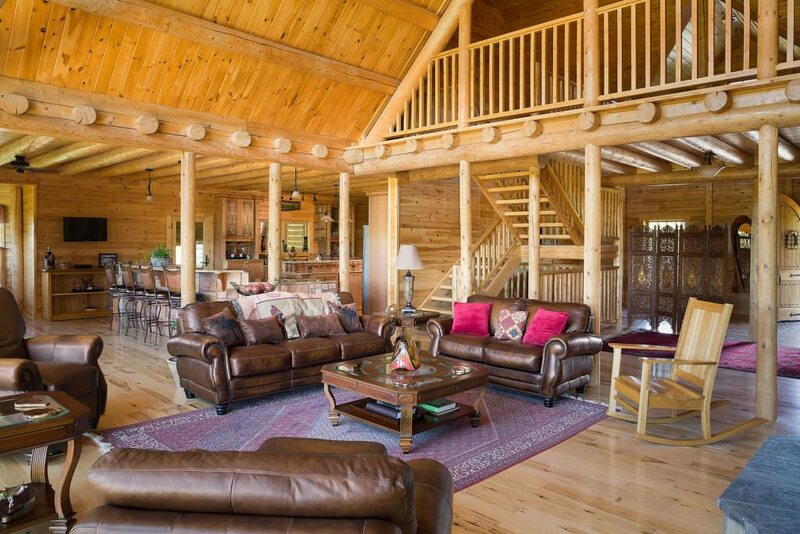 Different styles on the interior walls and ceilings highlight your many available options when it comes to finishing your log home design. 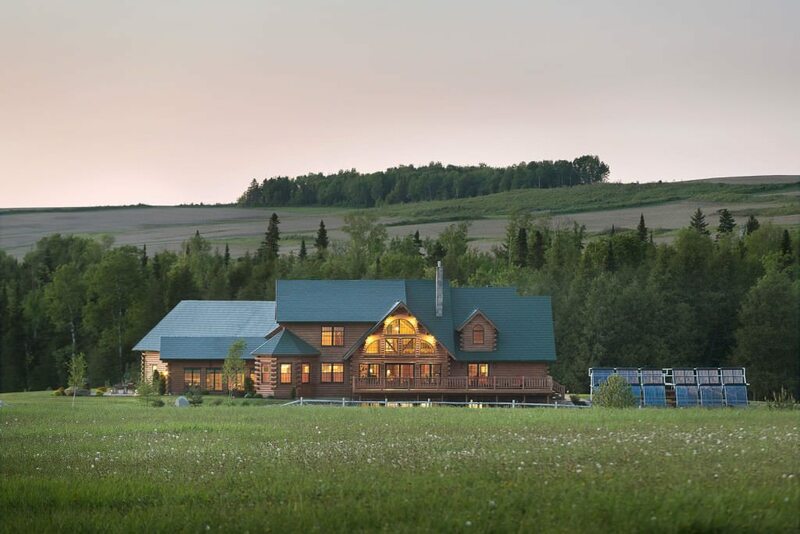 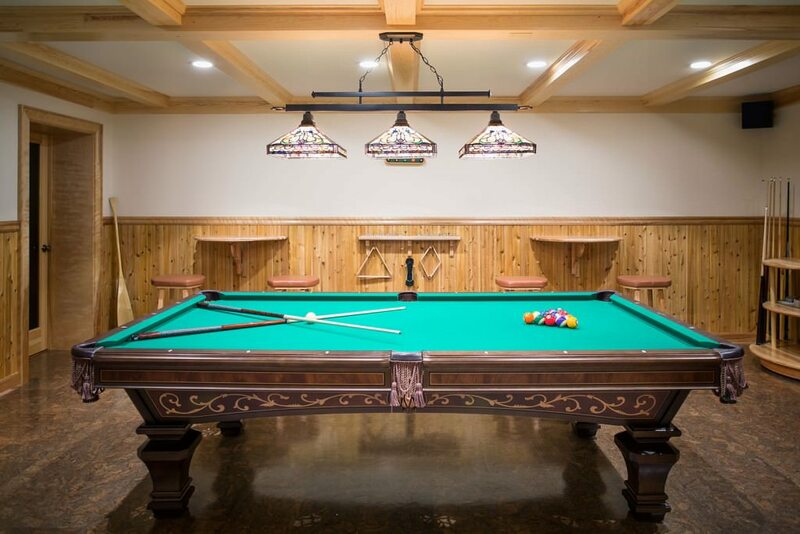 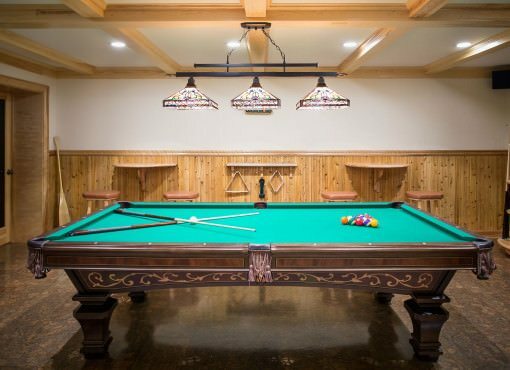 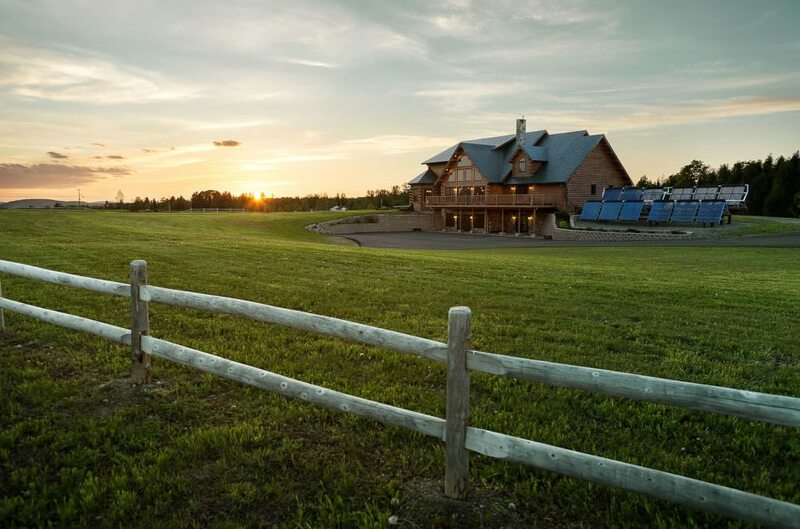 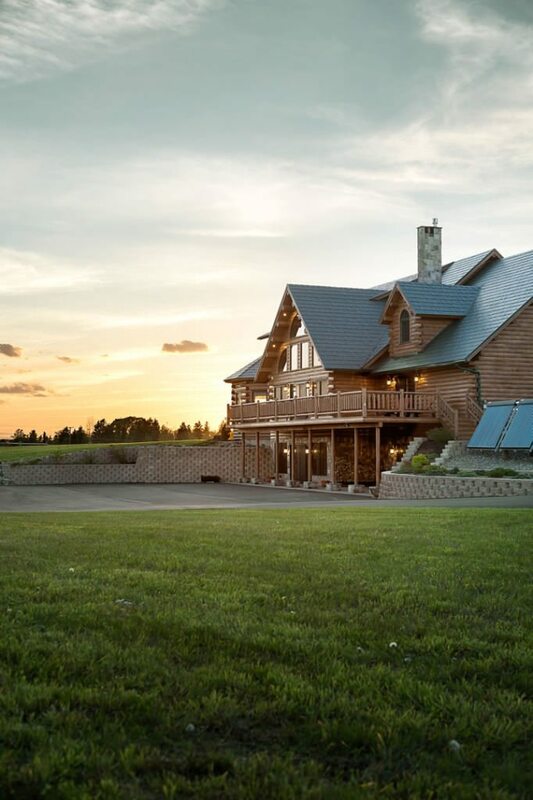 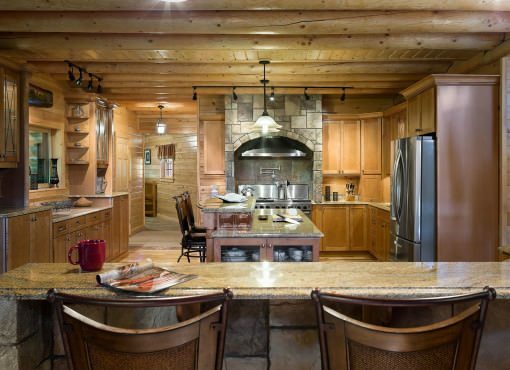 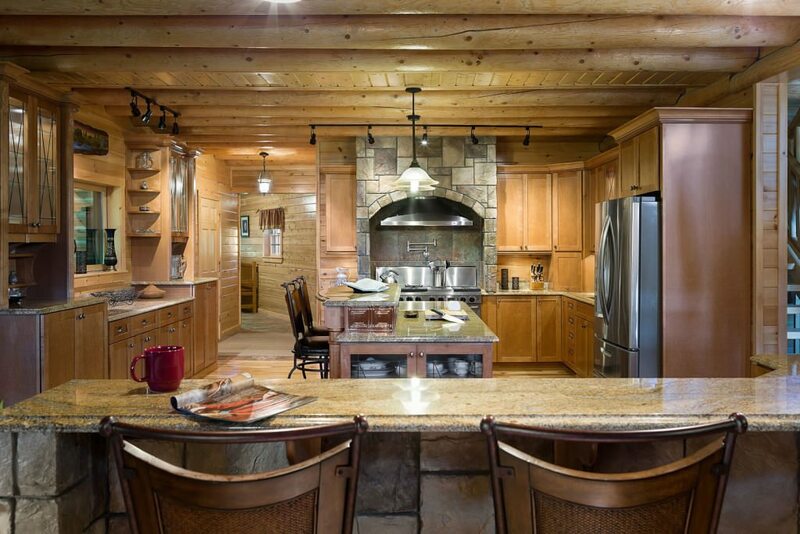 A chef’s dream kitchen shows how easy it is to combine luxury and log homes. 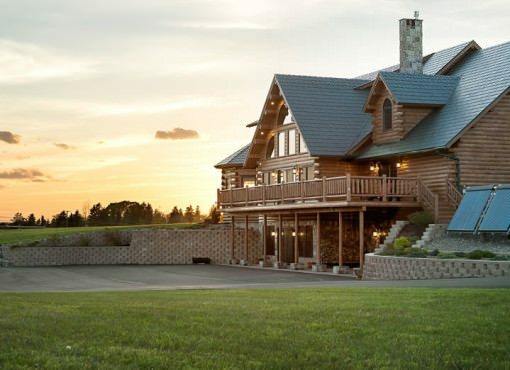 This home is an absolute showstopper.